Home > Dining and Gourmet > Cedele: Enjoy a Muffin for only $1 when You Like Their FB Page! From 10 Mar 2017 Cedele: Enjoy a Muffin for only $1 when You Like Their FB Page! 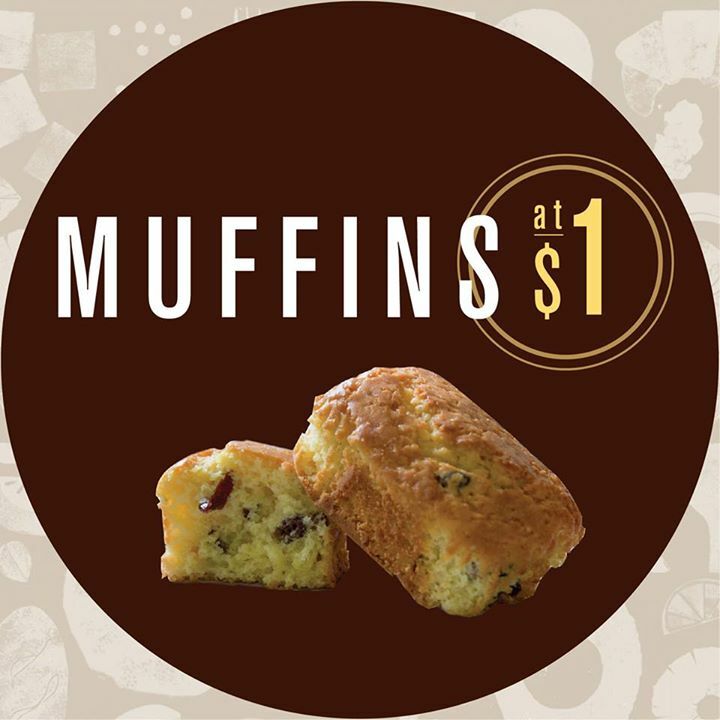 [AVAILABLE FROM 10 MAR] How would you like a muffin for $1 at Cedele? All you have to do is 'Like' their Facebook page and show it to the staff to redeem! Select from 6 types of muffins, available daily, including popular flavours such as Double Chocolate, Banana Walnut. Promotion: Enjoy a Muffin for only $1 at Cedele when You Like Their FB Page! T&Cs: This Facebook offer is valid for a limited time only, while stocks last daily. Limited to one redemption per person at any time. Not valid with any other promotion or offer. Valid at all Cedele Bakery Café and Bakery Kitchen outlets only. Promotion is not valid at the following outlets: Great World City, Raffles City Level 3, Resorts World Sentosa and Wheelock Place. The Management reserves the right to amend, suspend or terminate any part of this promotion at any time without prior notice. Previous: [Churros Factory Singapore] Thank you for the great support this lunch time over at ITE College West. Next: [Babies’R’Us] Come join us this weekend (11 – 12 Mar) at Toys”R”Us VivoCity for a fun filled time with LEGO!